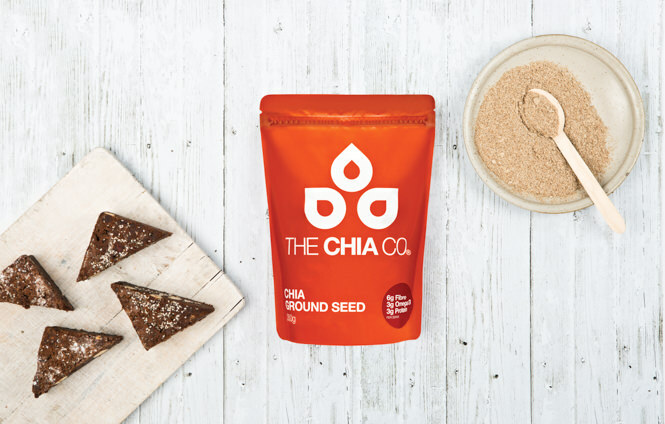 We farm chia sustainably in the perfect environment in The Kimberleys of Western Australia being within 15 degrees of the equator. 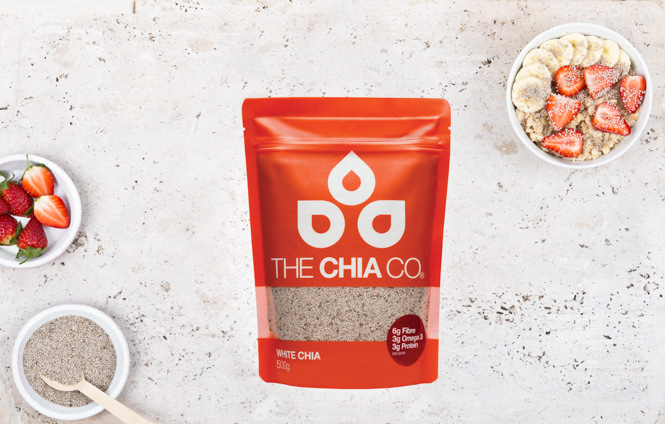 This latitude provides the ideal day length for chia to develop the highest levels of omega-3 oils. 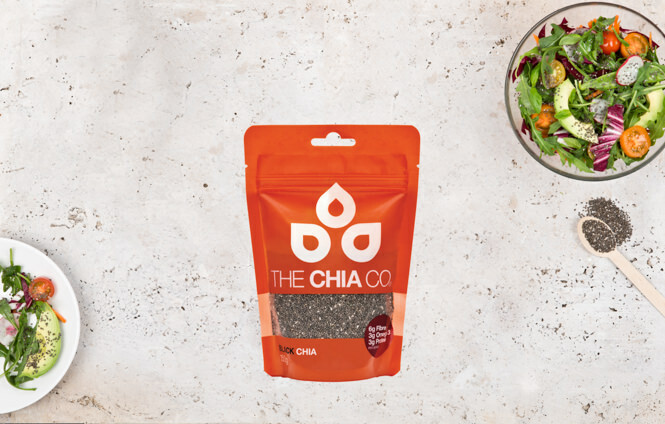 Our crops are irrigated to ensure the perfect amount of water, and we let our chia ripen naturally in the sun. 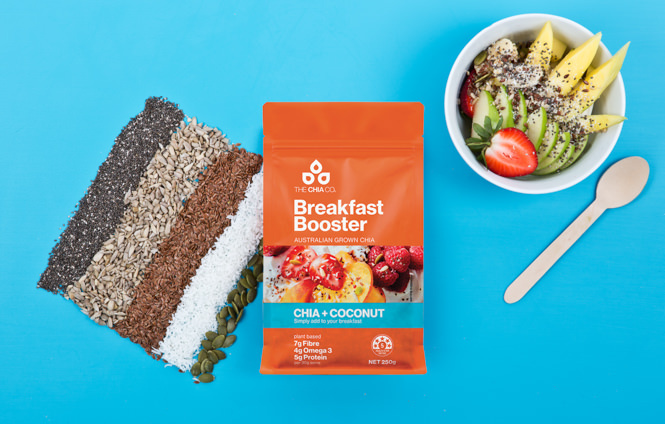 A positively simple topper for your breakfast. 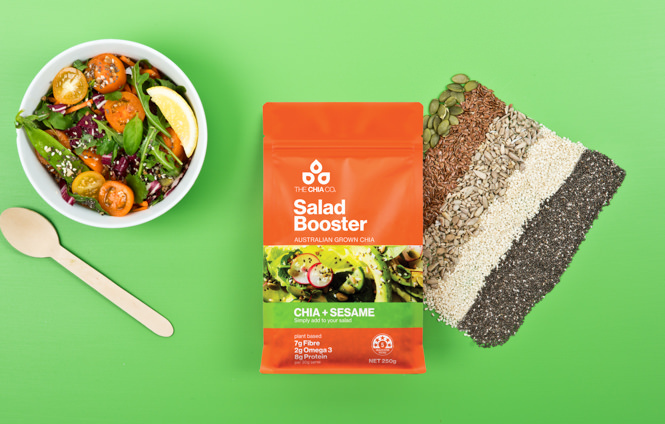 A positively simple topper for your salads. 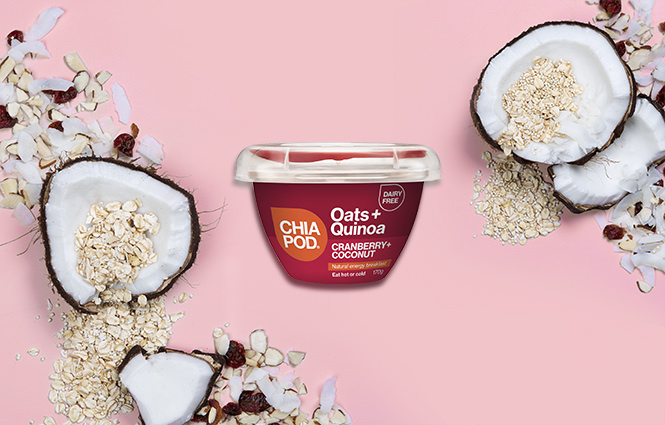 Made with sun ripened Australian Grown chia seed and Australian Grown oats blended with coconut milk, cranberries, coconut pieces and almonds, Chia Pod® Oats+Quinoa, Cranberry+Coconut can be enjoyed both hot and cold. 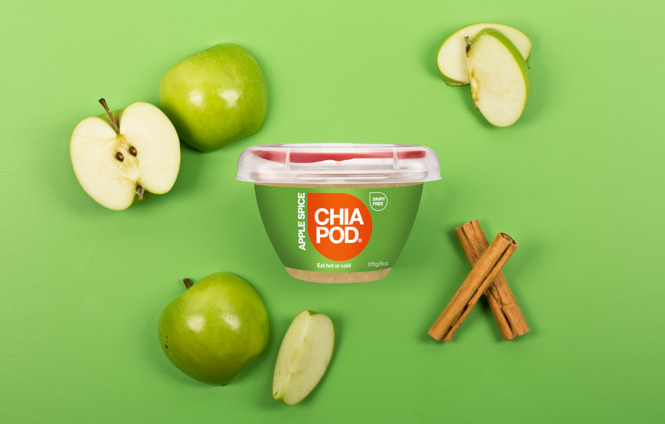 Source of Fibre and Omega-3 ALA.
Made with sun ripened Australian grown chia seed blended with coconut milk, apple and spices, the Apple Spice Chia Pod® can be enjoyed both hot and cold and contains your daily requirement of Omega-3 ALA and is 20% of your daily recommended intake of dietary fibre. 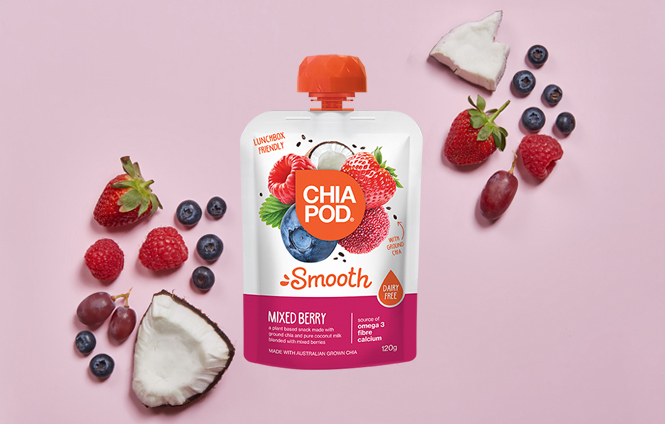 Chia Pod®Coconut is a great base to top with fresh fruit. 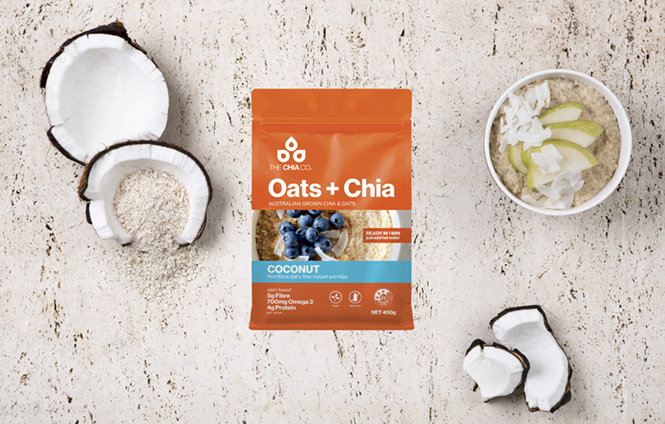 A healthy, dairy-free energy breakfast or snack - perfect for eating on the go. 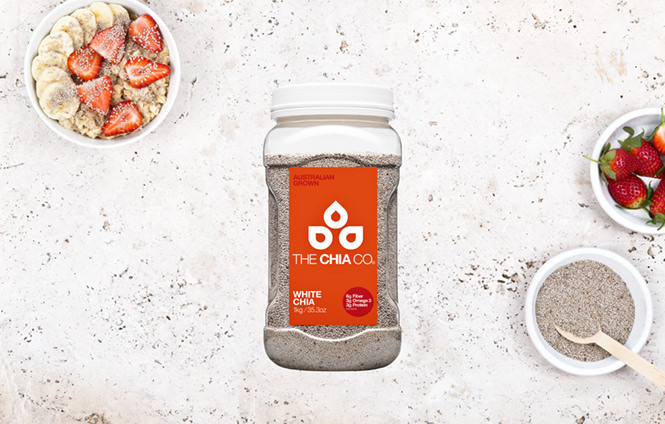 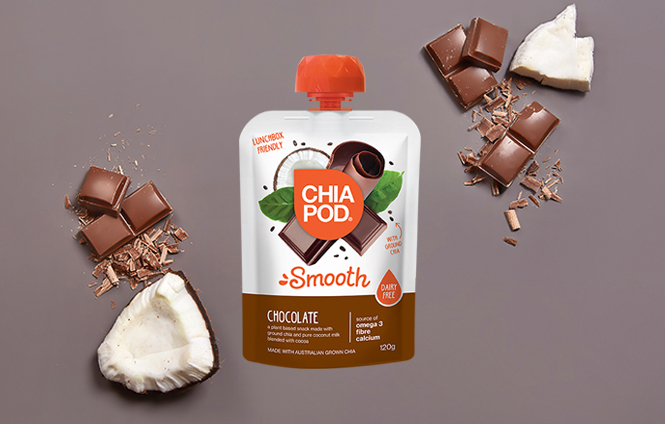 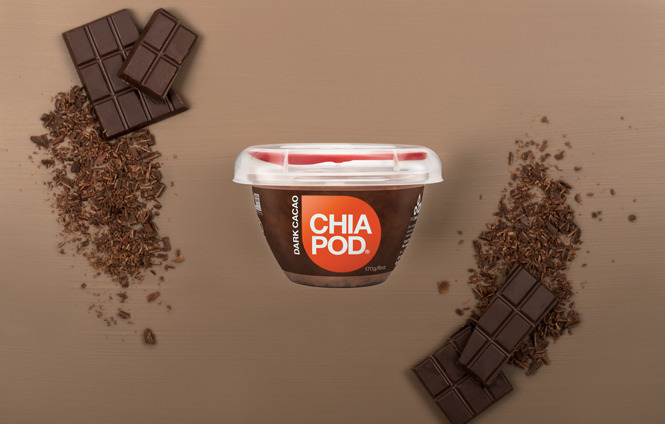 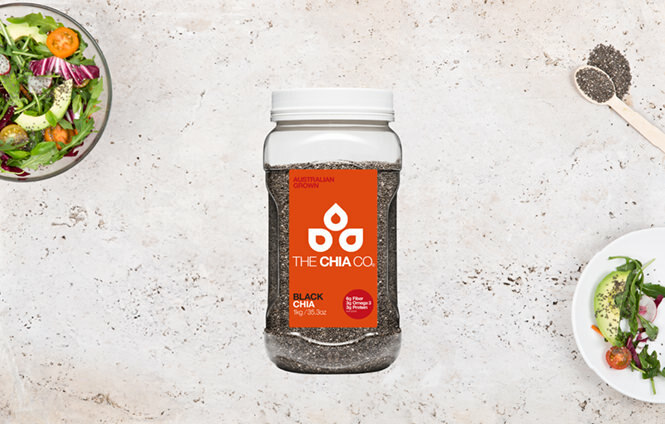 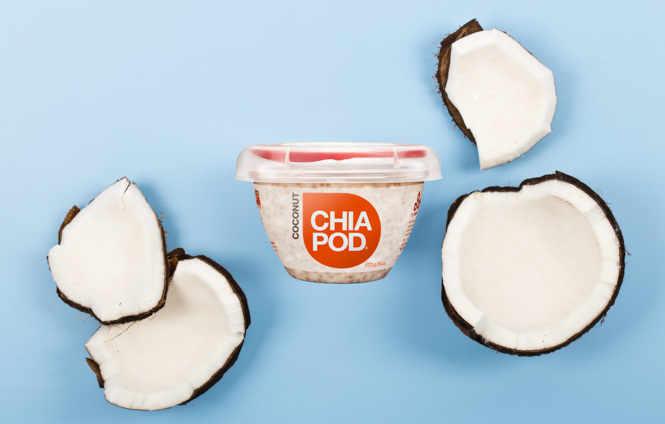 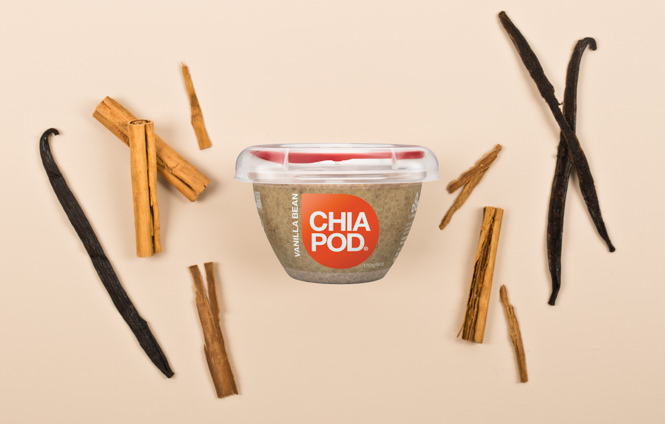 Chia Pod® combines sun ripened chia seeds with coconut or almond milk and only real plant based ingredients. 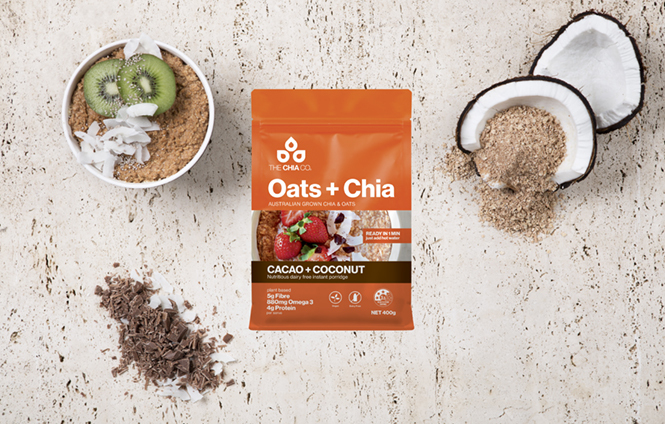 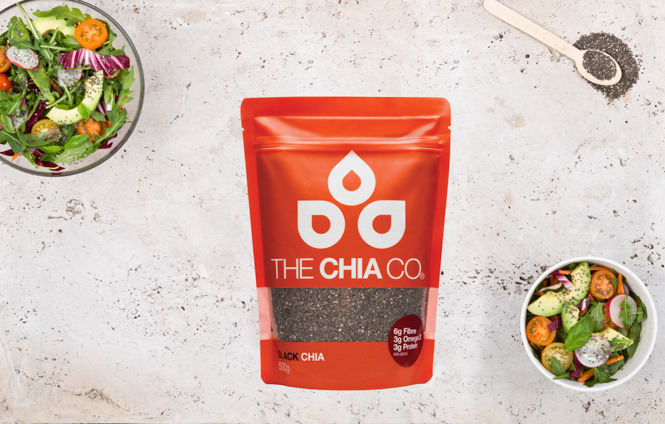 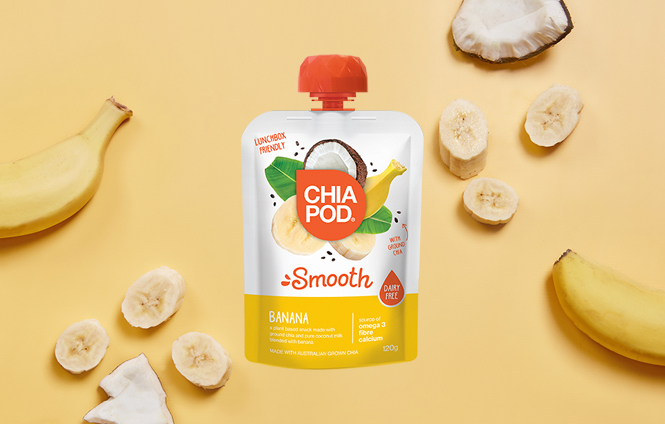 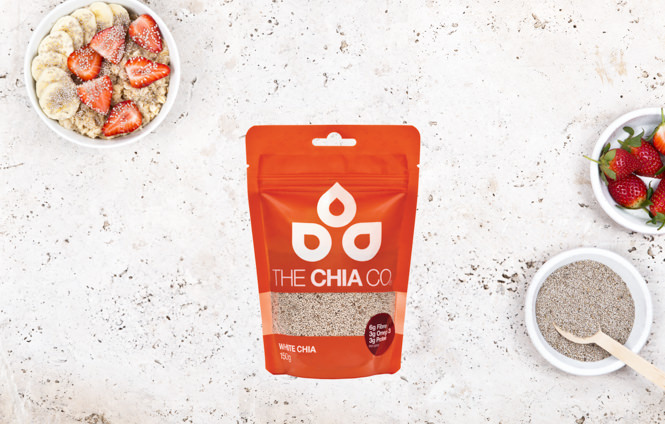 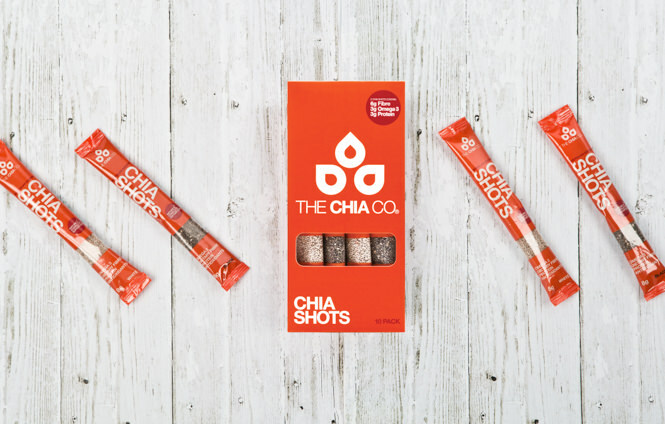 Made with Australian Grown chia, Chia Pods are free from artificial flavours or preservatives and are dairy-free, gluten free, vegan.